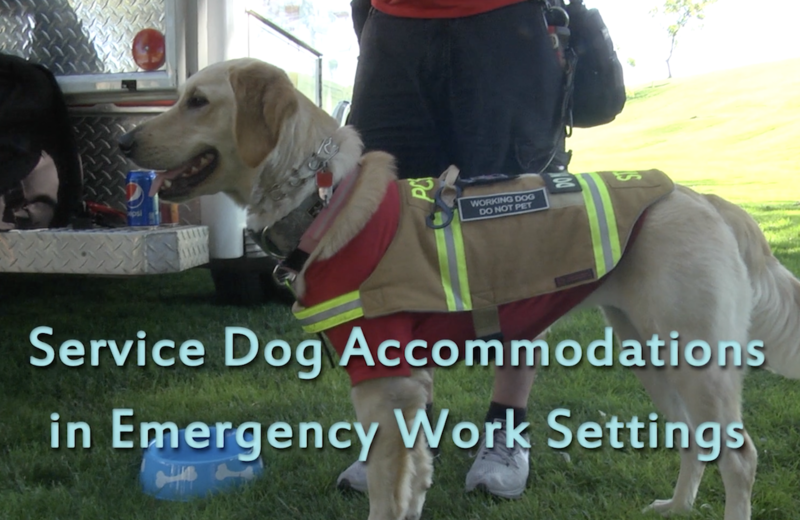 A NEW SERVICE ANIMAL VIDEO IS COMPLETE! This past summer, an opportunity to prepare a video on the importance of service dogs helping those with PTSD presented itself. We brought in veterans Louis Belluomini and Naithan McKinney to hear their stories of how a service dog changed their life, and the importance of being able to take their dog to work with them. Now the video is complete and can be seen here.